What do those four things have to do with each other? First, as some of you know, I have applied for my Canadian citizenship. I’ve lived here as permanent resident for more than a decade and decided I have enough commitment to this country to call myself a Canadian. I will keep my US citizenship because, at root, that’s who I am (plus, yes, America really needs me as a voter!). So I’ll be a dual citizen. 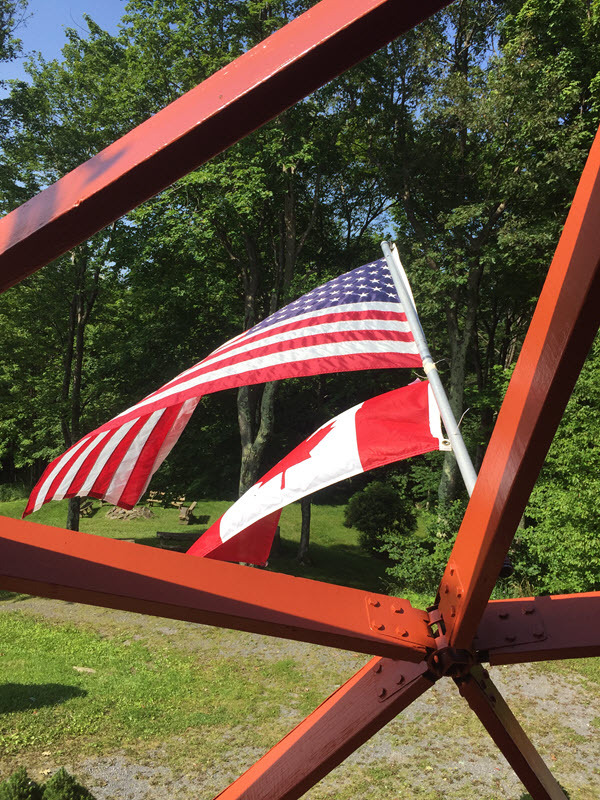 Canada 150, as it’s been branded, is a big deal and it’s being celebrated all year long with all the usual festivities that go along with a national anniversary of this kind. But not everyone agrees that Confederation is something to celebrate. In fact there is a quite a bit of backlash against Canada 150. Which brings me to the third thing — Looked at through a different set of lenses, Canada 150 is a celebration of a colonial occupation of Indigenous land and marks the kickoff of a century of systematic Indigenous cultural genocide. The fourth thing is this: I’ve been working on the Illusuak Inuit Cultural Centre for the last two years. My job is to write the Labrador Inuit story from the Labrador Inuit viewpoint — that is, not through the lens of colonists. So for two years I have been immersed in Inuit and Indigenous studies, have read the books; talked with and — more importantly — listened to Inuit people; followed their (and other Indigenous) voices in social media; watched the documentaries; and read the reports. And as I read that I realized that if I want to be a well-informed citizen of Canada I need to understand and acknowledge the Indigenous Peoples of this country — past and present. As an American living in the US, I understood my role as a naturally born citizen. Moving to Canada, I understand my place as an immigrant and naturalized citizen. But I’ve never really understood my place as a descendant of colonists or my responsibilities as a settler whose everyday actions may inadvertently harm or contribute to the marginalization of Indigenous Peoples. Citizenship Canada sent me a study guide for my citizenship test. 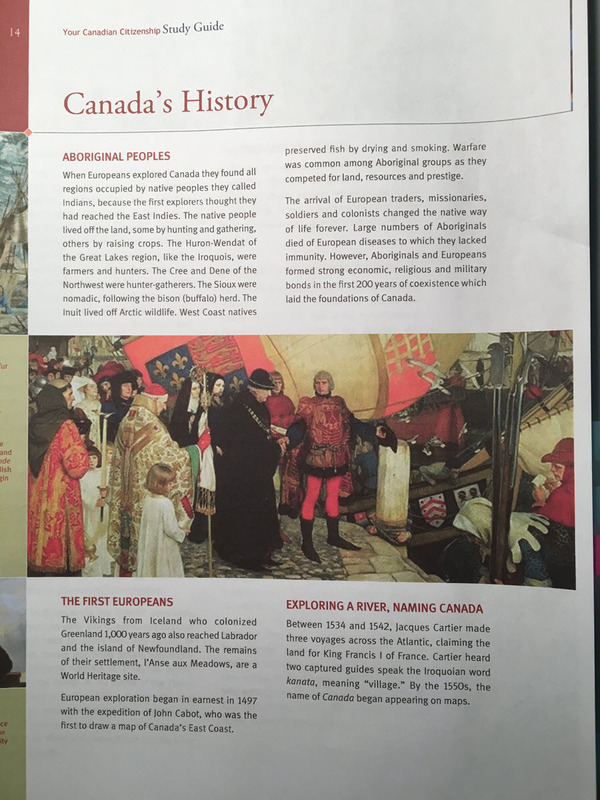 And yes, it mentions the various Indigenous Peoples and provides a few basic facts — A brief entry under “Canada’s History – Aboriginal Peoples; two paragraphs on Louis Riel; and some demographic information under “Northwest Territories” and “Nunavut.” That’s it. So that’s where #150Acts comes in. I skimmed that list and, while I have a good start on it already, most of it is new to me so it will serve a my study guide. Not in order, and not every item, but I will do what I can. Please read, understand, and share. Thank you. Great post. I recommend Thomas King’s “The Inconvenient Indian” as a must-read to better understand North America’s indigenous peoples. Told with wry humour and sarcastic wit. Thanks Sarah. I have read that. As one of my first reads on the topic, I appreciated King’s tone. It felt approachable and informative. An excellent entry point for study. Highly recommended.